Home » Articles » Has safety improved a year after Navy and Marine aviation crisis? Has safety improved a year after Navy and Marine aviation crisis? Aviation woes continue to dog the Navy and Marines but ongoing reforms will make a difference, the top flight officers for both services predicted Friday. A year ago, Navy and Marine squadrons reeled from a rising number of aviation-related mishaps. 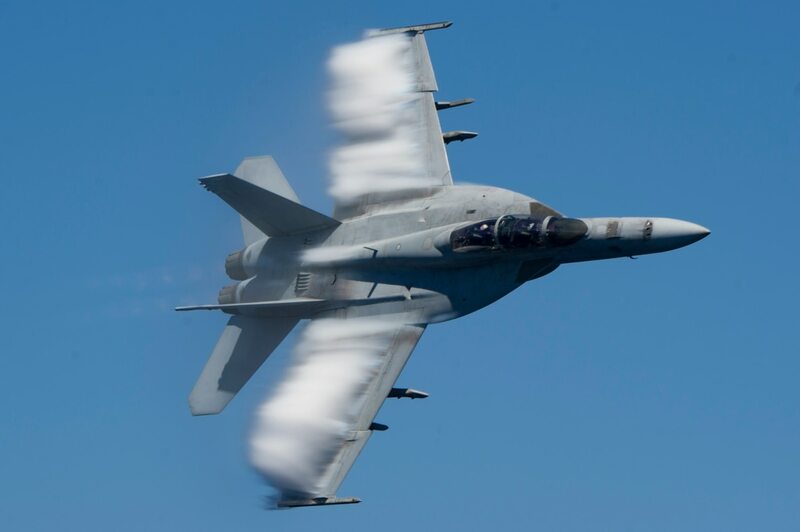 The Navy’s mishap rate had jumped 82 percent over the last five years, and the Marines’ had leaped 80 percent, largely driven by incidents involving Hornet and Super Hornet fighters. Those aircraft suffered from a defense spending crunch, a lack of spare parts, too few planes available to fly and a dip in the number of experienced pilots and maintainers on duty. Although new numbers haven’t been released to the public, Lt. Gen. Steven Rudder — the Corps’ deputy commandant for aviation — said his Marines halved their mishap count from the previous fiscal year. Vice Adm. DeWolfe “Bullet” Miller III, the commander of Naval Air Forces, said his sailors didn’t. To Miller, strike fighter readiness remains his biggest challenge, a problem that’s plagued by a lack of both aircraft and pilots. The Navy needs to have 341 strike fighters ready to fight tonight but Miller said it averages about 260. And only about half of his strike fighters can even be flown, he added. Miller said that the Navy’s mishap rate for the two most serious types of accidents held steady from 2017 — both Class A incidents that cause death or permanent disability or more than $2 million in aircraft damage and Class B mishaps that involve less severe crew injuries and at least $500,000 in damage. But Class C mishaps continued to rise. They’re incidents that involve at least $50,000 in damage or cause injuries that keep crew members away from their duties. But he said there’s some good news. Flight hours are increasing for units stationed in the United States after several years of sidelining them to boost readiness rates at forward-deployed squadrons, Miller said. According to Rudder, the tumble in Marine mishaps can be credited both to intensified supervision of flight line operations and increased flight hours for pilots. In the fiscal year that ended on Oct. 1, Rudder said Marine pilots boosted their flight hours from 13 per month to just over 17.